Increasing the visibility and control of your printing infrastructure and device output. 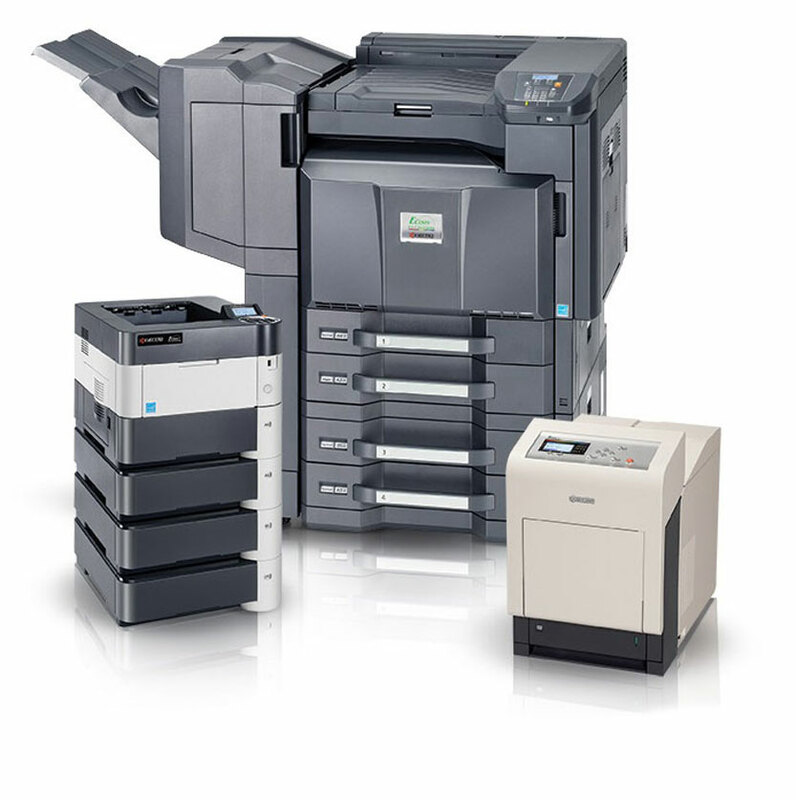 Did you know – Printing costs are the number one unknown office expense? Nearly every company is unaware of how much money they spend on printing. Unnecessary devices, supplies and ink cartridges are just the start. There are also parts, maintenance and endless IT hours consumed. With LA Office Solutions Managed Print Services, you can optimize your entire printer fleet – saving you time and increasing your bottom line. We offer the most efficient, simplified and fastest way to save up to 30% on your printing costs. Our process is initiated with assessing your current printer fleet. To begin, we conduct an onsite analysis of your printers to clarify workflows and discuss your specific business needs. During this identification phase, we will learn about your business, understand your strategic workflows and determine which devices have the opportunity to be consolidated and which devices are critical to your daily operations. In addition to our on-site analysis, we perform an electronic assessment to identify your current output. The analytical data shows your company’s usage and provides proactive maintenance for service, consumables and supplies. Your purchasing department will no longer need to shop around for parts and ink cartridges. We provide you with all supplies for every printer and we take on all maintenance and repairs. By providing ongoing maintenance and support for your entire printer fleet, we free up your IT department’s time, allowing them to focus on core priorities. Preventative maintenance of all devices increases efficiency by reducing downtime and eliminating employee frustration. Whether you are a small business, or a large corporation, LA Office Solutions Managed Print Services will provide customized solutions and maximized savings for your unique printing needs. In many companies, high-paid IT departments waste countless valuable hours on administration and management of the output infrastructure. Even the simplest supplies order, repairs or installations require dealing with numerous vendors and service personnel. Further frustrations arise from the down-time and cost-inefficiency of using a variety of suppliers and technicians. Studies show companies spend up to 3% (Gartner) of their annual sales on output costs. But output efficiency means more than just low-cost equipment and low TCO (total cost of ownership). A lot of money is wasted through inefficient hardware, workflows and output management. Kyocera’s objective is to manufacture superior products with a low Total Cost of Ownership (TCO) and minimize the impact on the environment. ECOSYS® printers incorporate a patented long life drum which is separate from the toner container, eliminating drum replacement when toner is depleted – and reducing landfill waste. ECOSYS® printers provide a printing solution that incorporates long life consumables and one of the lowest costs per print. The operating costs of traditional cartridge-based printers can easily exceed many times the original purchase price during the life of the product. By eliminating the need to continually replace cartridges, ECOSYS® printers do their part in helping reduce environmental waste – an added benefit for companies looking to enhance their environmental initiatives. Once-Overwrite Method – This method over-writes the entire hard drive during the initial disk formatting process. Three-time Overwrite Method (Default) – The preferred security choice when the highest level of data protection is required. This method encompasses more comprehensive 3-phase data deletion process.